Pallets are distressed and sometimes really dirty when they are attained from the local resources which make most of the people to form a very low opinion about its recycling. They think that this cheap material in no way can compete the market bought furniture and decorous items. But the growing fame and consumption of pallets have proved them wrong as people across the world are using it for the furniture possession and interior betterment of their house. And we are like the spokes person for pallets by showing the newer and creative pallet projects to the whole world to get them inspired. And even today we are here with a very impressive post which hints at the improved and well to do look of your living. 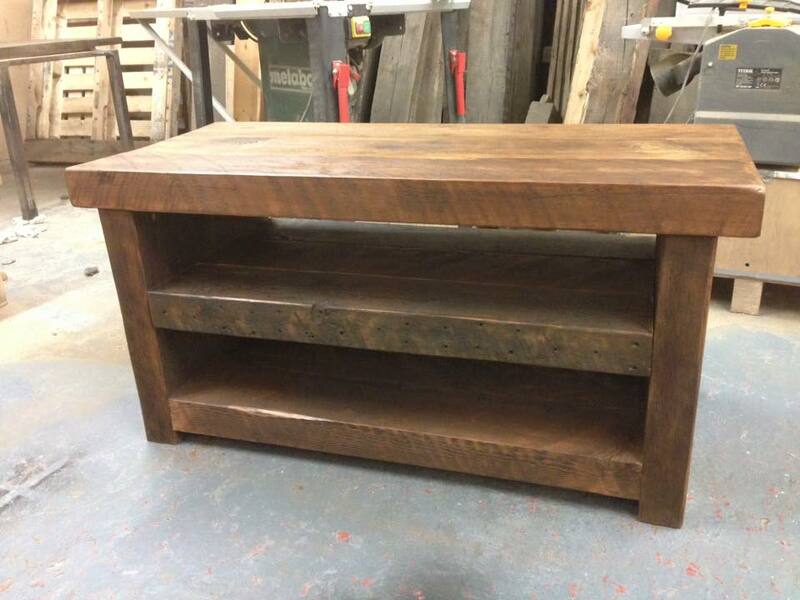 This is DIY pallet media console table which would house and store all your media stuff and accessories on its three tier structure letting your enjoy an immaculate and organized living room. 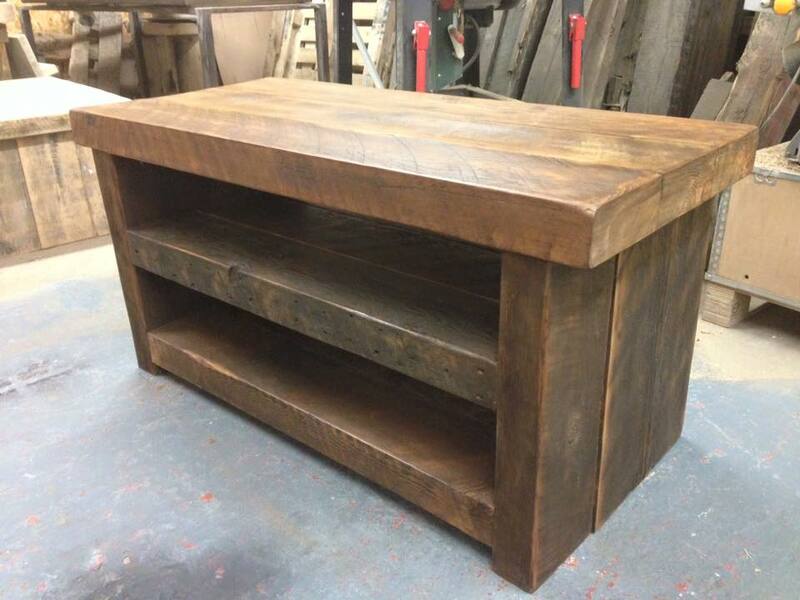 It has been waxed in dark shades to look rustic and natural in appearance. 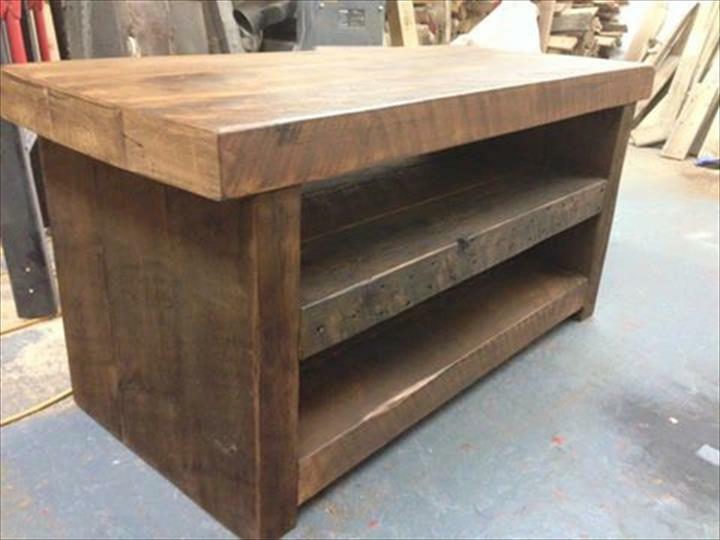 Media console tables come in many shapes and styles but always prefer the storage space and functionality over the design so that you can house your all media stuff on it and for this purpose you can build this pallet console table of your own. The media console table has been built from the thick and long pallet planks so that you can hold your accessories without any fear of falling on this durable and extremely sturdy pallet media console table. The table has been finished with the coating of wax and you can stain it in any other hue to make it a complete matching and complimentary piece for the decor of your spaces.